The computerised ‘hands-free’ self-driving bubble car planned by Google has no steering wheel, brake or accelerator pedals. All it has are buttons for start, pull over and emergency stop and a computer screen showing your route. 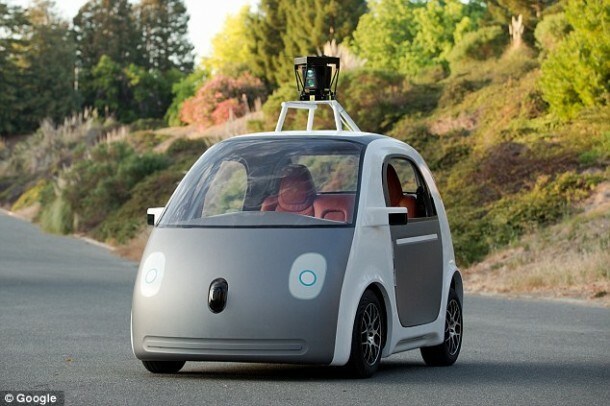 Google hopes to have 100 of these revolutionary two-seater electric-powered vehicles on the road within a year. But lately, cyber-security experts have been warning people that the software could be targeted by hackers to create traffic mayhem. 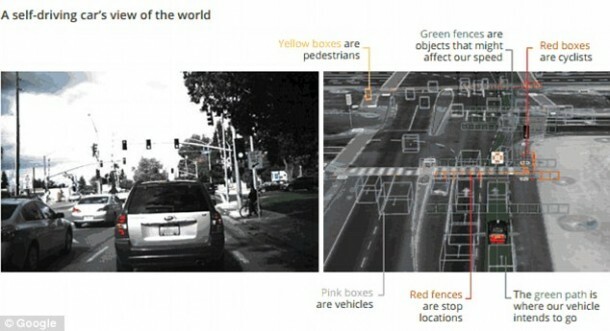 Google plans to test prototypes later this summer and see if the car is ready to ‘shoulder the entire burden of driving’. They say the car has a ‘friendly’ face to give a non-threatening appearance and help the public accept the new technology. The car’s front has a soft foam-like material instead of a traditional bumper and a more flexible windscreen, in an attempt to be safer for pedestrians. 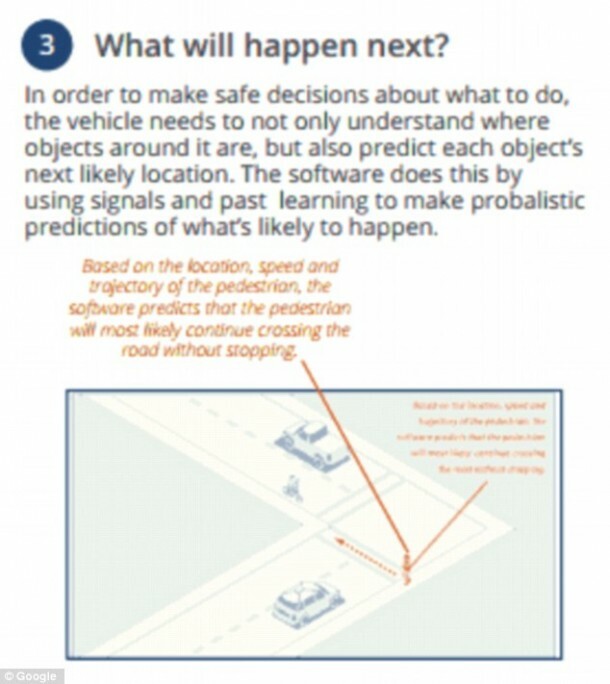 The top speed is restricted to 25mph and self-driving capabilities will depend on the specifically designed Google road maps which are already tested on the company’s current fleet of vehicles. 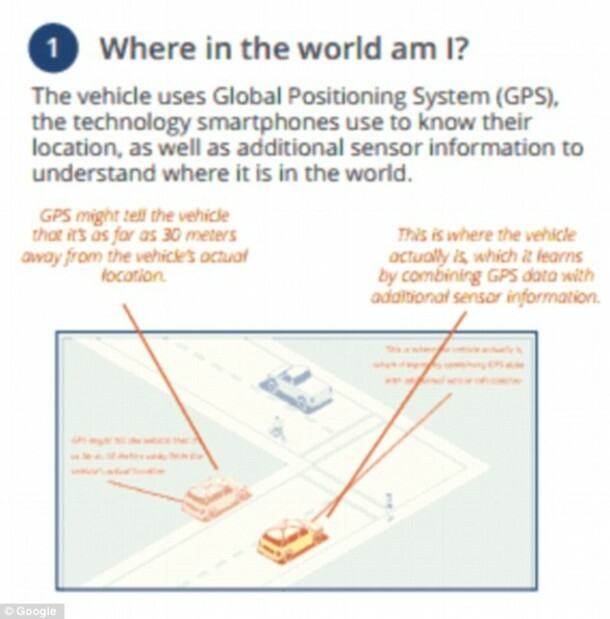 GPS technology is used to locate the vehicle’s exact position on an electronic map. 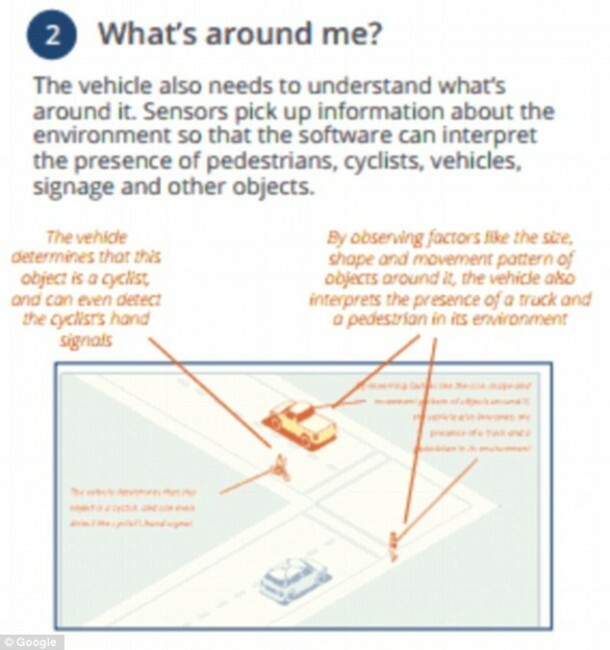 Radars, lasers and cameras sit on top of the roof and work together to give the car a 360-degree ‘view’, while sensors linked to computer software will allow the car to ‘see’ and identify people, cars, road signs and markings and traffic lights. 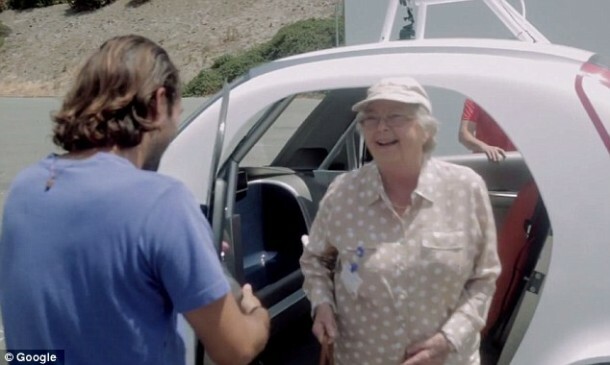 The link below shows footage of one of the car’s very first drives. 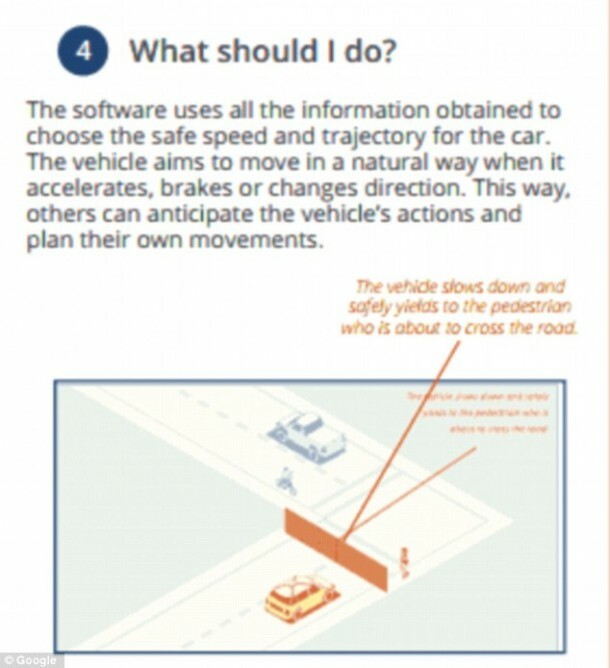 The car’s computer brain is programmed with road rules that guide the car to a chosen destination. 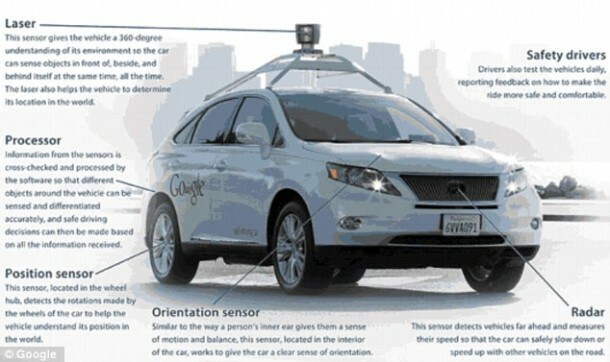 Google’s new car employs technologies that mainstream car manufacturers (such as Volvo, Nissan, Mercedes-Benz, and Honda) have been working on and also technologies which already exists in modern cars, such as autonomous braking, adaptive cruise control and lane recognition.